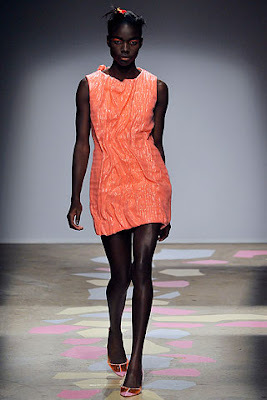 Just been scouring Style.com looking at all the S/S10 shows and drooling over the amazing collections. One that caught my eye in particular was Gile Deacon's fabulous Paris show that was so young, fun and exciting, I can really see these trends trickling down into hip high street brands such as Topshop. 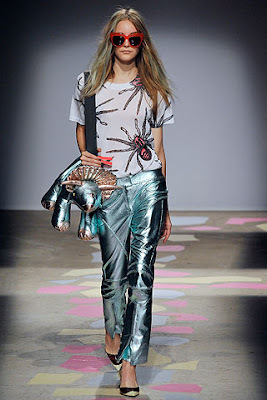 Giles presented us with with a juicy neon colour palette, funky spider prints, and wacky accessories in the form of soft toy dinosaur handbags. Pretty sure I've seen the fabulous green number above (as modelled by Daphe Guiness, oo) on Cheryl Cole in a coral colour on The X Factor way back in November time. Can anyone confirm? You can't deny that Giles really knows how to make fashion fun, playful and still lust-worthy. Although I'm not sure how well the population of Huddersfield would take to a cuddly dinosaur handbag. I'm snowed in & pretty bloody bored, snow is only of value to me if it's christmas ! S/S10 looks set to be a colourful, vibrant and feminine fest which will come of a welcome breath of fresh air after A/W's studding, leather and gothic trends. 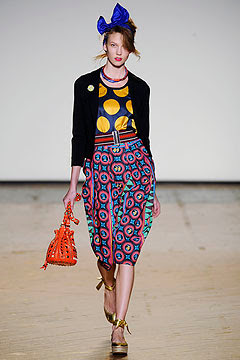 -a riot of colour, prints and most importantly, fun!! If I have any pennies to spare, (which I won't, period.) I will be investing in this 'so cute I could eat it!' 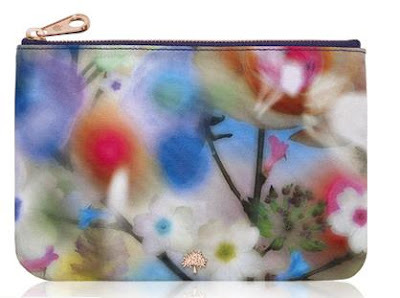 purse from Mulberry, so gorgeous but still £70. All I need is for this bloody awful weather to bugger off and then the fun can begin!